Here are 5 random Alexa commands you probably didn't know exist. If you own an Amazon Echo, Dot or Tap, you’re probably already aware of the basic Alexa voice commands you can ask your Echo. Finding out how cold it is outside and asking it simple questions you could just as easily Google is one thing, but there are plenty of fun Easter eggs, games, and skills that might make owning one of these connected speakers even more worth your while. Instead of walking you through the hundreds and hundreds of voice commands you can ask Alexa, we’re going to focus on something a little more obscure today. Here are 5 random Alexa commands you probably didn’t know exist. 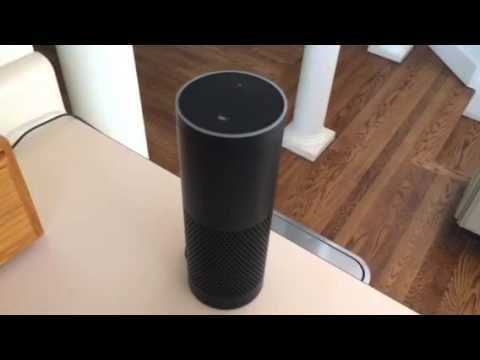 Don’t miss: Amazon Echo vs Dot vs Tap: Which one is right for you? To enable the Capital One skill, just open the Alexa app on your smartphone, tap Skills, then search for Capital One. Then, tap Enable, accept the Terms and Conditions, enter your Capital One username and password, and that’s it. You can now talk to Alexa about your Capital One account. Smartphones are expensive, so you’d probably be pretty upset if yours went missing. Thankfully, with the help of Alexa and the TrackR skill, your phone won’t go missing for too long. TrackR is a simple little trick that will definitely come in handy if you tend to “misplace” your smartphone. Once the skill is all set up, just say, “Alexa, tell TrackR to find my phone.” The TrackR service will kick in and make your phone ring, even if it’s on silent. Pretty cool, huh? TrackR is a service that’s primarily known for its Bluetooth tags. The tags cost about $30 a pop and will track your keys, wallet or any other valuable item you may want to keep track of. If you can’t find your keys, for instance, just open the TrackR app on your phone to make them ring. Unfortunately Alexa isn’t compatible with these Bluetooth tags as of yet, but we’re hoping this functionality will be added in the future. To set up TrackR with your Amazon Echo, you’ll first need to download the TrackR app from Google Play or the App Store. Once that’s done, enable the skill by saying, “Alexa, enable the Find My Phone skill.” Open the TrackR app, select Add new device, then choose Alexa integration. Once the TrackR app asks you for a pin, ask Alexa for your pin by saying, “Alexa, ask TrackR for my pin.” Enter your 6-digit pin in the TrackR app, and press Submit. Now you can use TrackR and Alexa to help find your phone. WebMD is a powerful service that’s used for a lot of things. It can help you figure out where that headache is coming from, what side effects are associated with your new antibiotics, or what steps you should take if someone breaks a bone. Now Alexa can harness the power of the health service, thanks to the new WebMD skill. Once you enable the WebMD skill, you’ll be able to ask your Alexa-powered device basic health-related questions. For instance, you can say, “Alexa, ask WebMD how to treat a sore throat” or “Alexa, ask WebMD to tell me about Tylenol”. It’s worth noting that the skill is, in its current form, a very basic version of the WebMD service, though. You’ll still be able to get surface-level definitions and side effect information, but don’t expect to be able to go much deeper than that. I asked Alexa to ask WebMD give me information about headaches, and she responded with a pretty long and detailed definition. She followed that up with “Would you like to hear more about this?”, I responded with “Yes”, and she sent a link about headaches to the Alexa app on my phone. Ben Greenberg, WebMD’s vice president of mobile products, told The Verge that the WebMD/Alexa user experience will improve overtime. In the future, users may be asked follow-up questions to help pin down more specific ailments. Enabling the WebMS skill is easy. Just head on over to this link, tap the Enable skill button, and that’s it. If you have kids that have trouble falling asleep, this next voice command is for you. With the Bedtime Story skill, Alexa can tell you or your kids a short, relaxing bedtime story, personalized to your name. Now, we’re not saying that this is a valid reason for you to not read to your kids in bed every night, but it is a fun way to bring technology into the mix. Just say, “Alexa, enable the Bedtime Story skill”, and it’s as easy as that. If you’re not interested in hearing random bedtime stories, you can link your Amazon Echo to your Audible account. This allows the voice assistant to read any books you may have saved in your Audible library. To enable Audible integration, open your Alexa app on your smartphone, open the menu on the left (three horizontal lines), tap Music & Books, then scroll down and tap Audible. Make sure you’re signed in, and that’s it. Now Alexa will be able to read any audiobook you have stored in your library. Odds are, if you own a fitness tracker, you probably own one that was made by Fitbit. If you also happen to own an Amazon Echo, Dot or Tap, you can easily ask Alexa to spout off all the stats recorded by your Fitbit. Once the Fitbit skill is enabled (instructions below), you can say things like “Alexa, ask Fitbit how I slept last night”, “Alexa, ask Fitbit how far I’ve walked today”, or “Alexa, ask Fitbit what my resting heart rate is”. Most of the time, you’re probably just going to want to glance down at your Fitbit and check your results with, you know, your eyes. But in certain situations, asking a voice assistant how many steps you’ve taken might come in handy at times. What’s more, if you and someone else in your house own Fitbit devices, you can both use the Fitbit skill on your Alexa-powered speaker. As long as you have your accounts set up in your Amazon Household profile, just say “Alexa, switch accounts”. You can now access your Fitbit stats like you normally would. To enable the Fitbit skill, open your Alexa app, tap the menu button (three horizontal lines) on the top-left of your screen, then tap Skills. Type the word Fitbit in the search box, then tap the first result that shows up. Tap Enable, login to your Fitbit account in the Alexa app, then tap Allow. So there you have it, 5 useful Alexa voice commands that you may not have known existed. Have any other fun ones for us? Be sure to leave a comment below. Amazon has just unveiled a new Echo Show, Echo Dot, and much much more.. including a smart microwave.